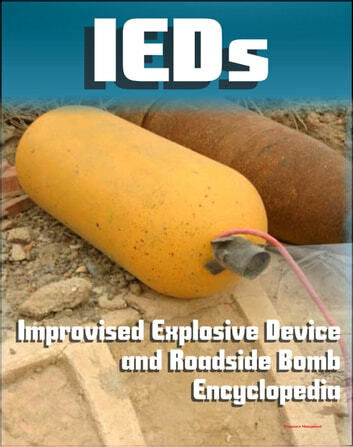 The effort to defeat improvised explosive devices (IEDs) and roadside bombs in Afghanistan and Iraq is fully explained in this comprehensive two-part encyclopedia compilation, featuring the Convoy Survivability Training Support Package presenting information on enemy tactics, techniques, and procedures for attacking convoys, as well as U.S. measures in effect to counter them. IED REPORT: Updated with the latest information from the Joint IED Defeat Organization (JIEDDO), it also includes the results of Congressional inquiries into jamming the IED assembly line by impeding the flow of ammonium nitrate in south and central Asia. A recent GAO report on the JIEDDO effort is also reproduced. The JIEDDO solicitation of proposals for the development of innovative capabilities to defeat IEDs employed against dismounted U.S. or coalition forces anywhere in the world, but especially in Afghanistan is included. The military is looking for advances in the dismounted detection of buried IEDs and unmanned ground vehicles for dismount support. Buried IEDs are emplaced on or under the ground to be detonated in the proximity of Coalition Forces or other passers-by. IEDs are used on roadways, paths and choke points where intended victims are likely to walk. Devices are frequently emplaced in or near features (e.g. washouts, culverts, gates and bridges) that conceal their signatures and channel traffic over them. Components common to an IED are a switch, an initiator, a power source, and the main charge with container. The main charge is typically a homemade, fertilizer-based, bulk explosive in a plastic or fabric container. The most common switches for buried IEDs are victim operated pressure switches and command wires. IEDs are the enemy's fires system - their artillery. In Iraq and Afghanistan, the enemy delivers these fires through networks that for centuries have formed the sinews of commerce for tribes and factions. IED attacks provide the enemy with a cheap, stand-off, precision targeting system that often provides attackers with complete anonymity. 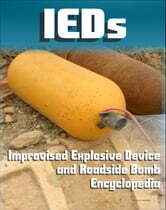 Coverage of IEDs and the JIEDDO includes: JIEDDO Annual Reports (including the newest for the Fiscal Year 2010), Acronyms and Terms, Glossary, DoD Directives, Urgent Needs and Readiness Levels, Technology Readiness Levels, Training for Forensics and Crime Scene Investigation to Battle IEDs, biographies of key officials in the JIEDDO, History of JIEDDO, The Threat, Organizational Structure, Organization Chart, Attacking the Network, Counter-IED Operations Integration Center (COIC), Keyhole, Information Operations, Intelligence, Surveillance, and Recon (ISR), Warrior Alpha, WTI, Constant Hawk, Technology Insertion Process, Identity InstaCheck, Palantir, more. CONVOY SURVIVABILITY TRAINING: Specific areas of instruction include but are not limited to hardening vehicles, defending against attack, consolidation and reorganization, gun truck employment, various reports, battle drills, and basic instructions for setting up a convoy live fire exercise. The document states in part: "During this course of instruction you will learn to: Identify the threat; harden vehicles; conduct convoy briefing; execute motor movement; defend against attack; defend against Improvised Explosive Devices (IED); conduct convoy consolidation and reorganization; conduct actions at the Release Point (RP); describe the purpose and functions of the gun truck; identify gun truck crew duties; harden gun trucks; employ gun trucks; identify emerging enemy trends on the battlefield.